Airdrie Stud owner Brereton Jones has often said he looks for a good miler when prospecting for a new stallion. While certainly not his only criteria, a quick glance down Airdire's current stallion roster shows a number of horses whose resumes include victories or good placings in one-mile stakes — Divine Park (grade I Metropolitan Mile); Badge of Silver (second twice in the grade I Cigar Mile Handicap; Istan (Ack Ack Handicap (gr. III), Governor's Handicap); Slew City Slew (grade III Salvator Mile Handicap). The Triple Crown and the Breeders' Cup Championships give horses strong credentials but does that translate into breeding success? 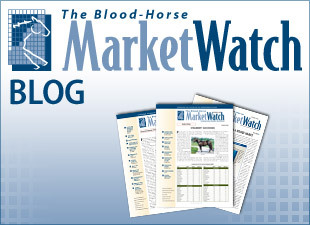 The editors at The Blood-Horse MarketWatch want to know if certain races or certain types of race have a history of producing good stallions and we're asking for your help. We've put together a poll to solicit your opinion and narrow down the field of races. After we have the results, we'll do the research and let you know in the fall if the perceptions match the reality.